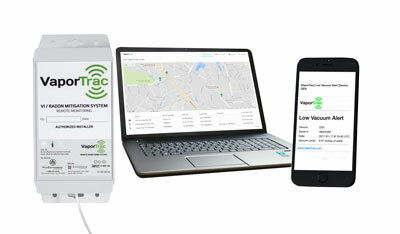 VaporTrac® provides sensor-equipped telemetry devices that remotely monitor performance of radon and vapor intrusion mitigation systems and trigger alerts when the remediation systems lose power or vacuum. 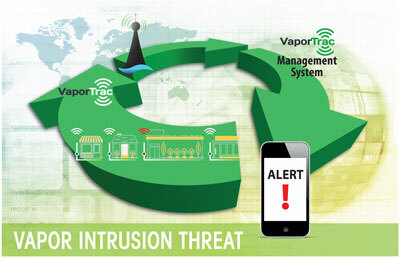 VaporTrac continuously collects system data which is transmitted via cellular or Wi-Fi connections to cloud-based servers where the data is stored in a secure database which can be easily accessed by the client through the client portal dashboard. 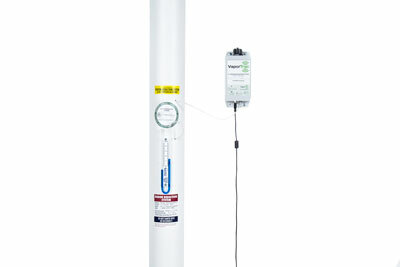 VaporTrac units can be installed during the initial mitigation system construction or as a retrofit during routine maintenance. The units are ready to be installed when they arrive from VaporTrac. 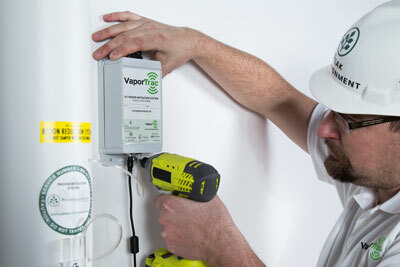 Installing VaporTrac is easy; the units can be mounted on a wall or on a pipe. Once mounted with the vacuum tube affixed and the power cord plugged in, data confirmation will be available within approximately 60 seconds. 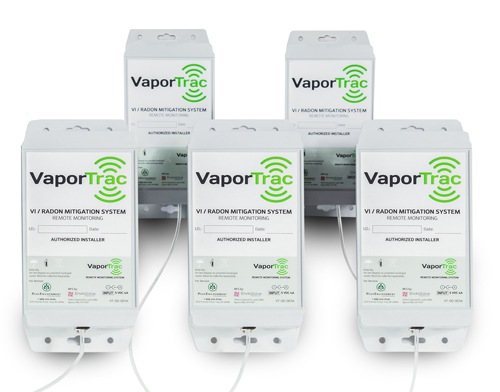 Once the installer has established web access and each device has been registered on the website with its device-specific Serial Number, the client will be given a unique User ID and Password allowing access to the VaporTrac client website (client.vaportrac.com) and user-specific data. Once logged in, the client has the ability to make additions and modifications to the account including user access, device details, Alert management, and data presentation.